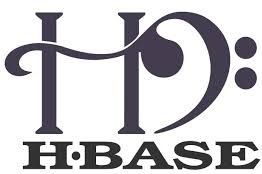 HBase is one of the NOSQL Database which stores data in the form of column oriented key value pairs. Through HBase, we can perform real time data analytic. HFile or Map file is the data storage architecture for HBase. Let us see the steps to install and configure HBase. Hadoop components should have installed and configured prior to HBase setup. Shift to super user mode and move the HBase folder to /usr/lib as shown below. Set the JAVA_HOME environment variable here. //Here we have to set the path where we want HBase to store its files. //Here we have to set the path where we want HBase to store its built in zookeeper files. HBase also provides JAVA API libraries in order to manage the HBase table from application. So we need to set the classpath for HBase libraries (lib folder in HBase) as shown below. Start Hbase Master Server as below. To kill a backup master, we need its process id, which will be stored in a file named "/tmp/hbase-USER-X-master.pid"
Start HBase shell as below.